Welcome to the second issue of ADAS Shuttle. Now shuttle is in its second issue we can again say we have a journal of our activities. As the years pass the journal is the only record of the ADAS's activities which members have to look back on. It is important therefore that we try to record as much of what do in our journal as possible, otherwise our - your - contribution may be lost in the depths of space! Looking back at the journals which were written in years gone by reveals ADAS's rich heritage. However, there are many years for which no records were kept. We and future members can only guess at what the ADAS did then. Membership of the society has declined more this year than any year I can recall. We can only guess as to why members decide to leave us: relocation, other commitments, time etc. A widely held belief is that our programme, which was severely cut back, was considered too sparse. I must stress that this was due to the confusion caused by the change of opening times of our host (RGU have changed from 3 terms to the American 2 semester system). We intend to rectify this in future years. Whatever has caused the decline in membership, we must try to restore it. There are several "big" astronomical events which could prove fortuitous to this goal. The new millennium, the continuing saga of the International Space Station, etc. Can you help ADAS to bring these to the public attention? Can you give a talk about Hale-Bopp? or about the days and years have basis in nature but the new millennium does not? Perhaps you have some other ideas which ADAS should be following. Whatever your thoughts, we want to hear from you. The official time to talk of these things is at the AGM, but if you have an idea now then please tell us now. ... and please do come along to the AGM. It is important. What is said at the AGM determines the direction of the ADAS in the following year. In addition the uqis is immediately held afterwards and is usually a lot of fun. See you there ? The years programme was started with introductory talks by John MacNicol and Eddie Donald. In November one of our newer members gave a talk on Binocular Astronomy. January brought Dr. Sandy MacKenzie from Dundee who gave us an insight into his "Joy with Camera and Telescope"
In February we received a sneak preview of Professor Mike Gadsden latest research into Noctilucent Clouds. Our programme was completed in May by Brian Kelly (of the Mills Observatory) who talked to the Society on "Cosmic Debris"
The 1996/97 session began with an opening lecture on the planned International Space Station by Alan Milne, this was then an update on astronomical events and slide show by John MacNicol. In November Graham Young from Dundee Astronomical Society visited Aberdeen and gave us a talk about Planetary Conjunctions. 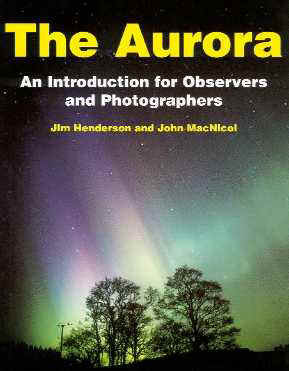 In February 1997 Alistair McBeath of the SPA Meteor Section gave a lecture about Meteors. The Session was concluded at the end of April with the AGM and Quiz night. Some members of the society who attended the Brian Kelly Lecture. (left to right, front to back) Bob Gilbert, Ed MacDonald, John MacNicol, Alan Milne, Sandy Moir, Brian Kelly, Reg Grassie, Andrew Rutherford, Paul Reynolds (behind), W.J. Anderson and Mike Beveridge. The 1995/96 AGM was held in the St Andrew's Street premises of RGU on 29 April 1996. The Secretary's, Financial and President's statements were presented. W.J. Anderson was welcomed onto the committee. The years syllabus was discussed and suggestions for the next syllabus were requested. The members liked rge new format Journal (ADAS Shuttle) and requested that another be produced. Once the official AGM was completed all present took part in a particularly entertaining quiz. The 1995/96 AGM was held in the St Andrew's Street premises of RGU on 28 April 1996. The Secretary's, Financial and President's statements were presented. The years syllabus was discussed and suggestions for the next syllabus were requested. Questionnaires seeking members opinions of the years activities were distributed. The results of this survey were as follows: overall the lectures were average - some were very well received whilst others were judged to be too technical or too in depth. The observatory nights were rated above average. Video night ratings ranged from good to awful, with the sky a night videos being particularly disliked. Suggestions for future activities included member's night, trips, competitions, Haddo night and even step dancing! As a result of the survey, Sky at night videos will no longer be played at video nights. Video nights will be combined with observing nights in an attempt to thwart the weather and a member's night is being considered for the 1998/99 session. Once the official AGM was completed all present took part in the predictably unpredictable quiz. I THINK IT IS LIFE JIM, BUT IS IT AS WE KNOW IT? The above text is copied from a 16 page stapled magazine (SHUTTLE, Issue 2) produced in December 1997.